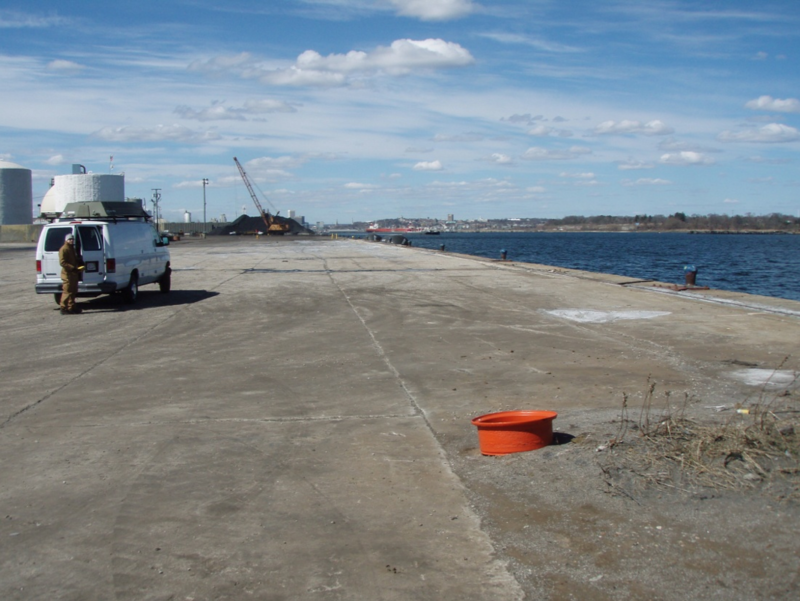 Childs Engineering Corporation was tasked by Waterson Terminal Services to perform a stability analysis of an existing granite block seawall for ProvPort in Providence, RI. The analysis included calculating factors of safety against sliding due to uniform live loads and crane surcharge loads acting on the seawall. Childs installed permanent survey points along the top of the seawall to establish a baseline from which future movement of the seawall can be measured. In addition, Childs conducted an underwater inspection of the seawall including a rotation analysis to see if the seawall was leaning outshore in certain areas. Childs was also responsible for inspection and inventorying of existing mooring hardware as well as determination of allowable horizontal line pull limits based on standard factors of safety.